Wedding PR: About.com, Huffington Post, Catersource and more! We’re so excited about today’s roundup with media outlets like About.com, Huffington Post, Catersource and so many more! See more about these fabulous features below. Where Will They Stay?, Historic Mankin Mansion, Cocoon Events Group Management, Don Mears Photography, Cescaphe Events, and Mike B Photography were featured in the About.com article 7 Ideas to Elevate Your Guests’ Experience. See the full article here. 100 Candles, Stephanie Yonce Photography, and Paisley & Jade were featured in the Huffington Post article Trend Alert: Unique Rentals. See the full article here. 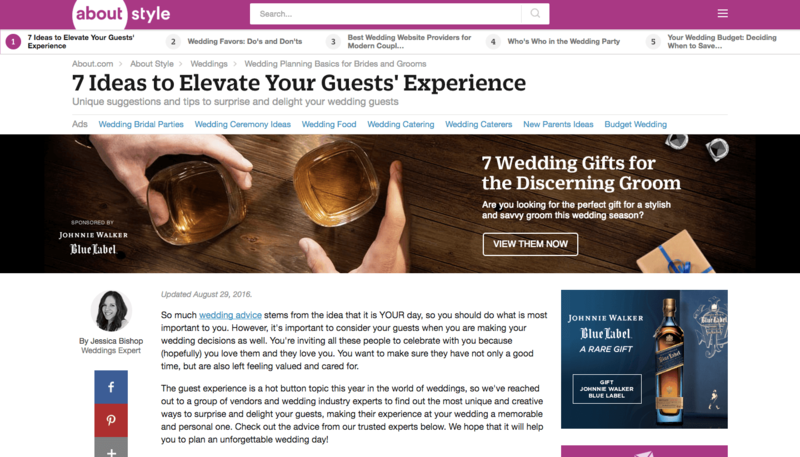 Destination Weddings was featured on Catersource with their guest blog Destination Weddings 2016 Trends. See the full feature here. OFD Consulting, 100 Candles, and Stephanie Yonce Photography were featured on Burlap and Blue with a DIY project. See the full feature here. Destination Weddings was featured on Top Wedding Sites in the article 2016 Destination Wedding Trends. See the full feature here. Magdalene Photography was featured on Storyboard Weddings with a styled bridal shoot. See the full feature here. 100 Candles was featured on Timeline Genius in the guest blog The Art of Upselling: Meeting Your Clients’ Needs (and Making More Money While You’re At It). See the full feature here. Cocoon Events Management Group was featured on Blissful Creatives with the guest article Finding Inspiration Amidst Designer’s Block. See the full feature here. Don Mears Photography was featured on The Overwhelmed Bride with Virginia Inn wedding. See the full feature here. 100 Candles was featured on Blissful Creatives with the guest article Building an Alternative Revenue Stream for Your Creative Business. See the full feature here.